For installation of ropeway ropes, for cable pulling, in forestry or hunting: all these applications require motor-driven and sometimes portable rope pulling devices for the hauling and hoisting of loads. 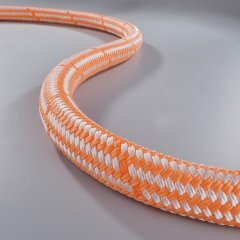 Our mounting rope DuraTEN consists of UHMWPE and features high breaking force, low weight and a long service life. The thermally pre-stretched mounting rope HyperTEN features breaking forces and a service life that are equal or even superior to steel wire ropes. Sirius 300 XG offers an excellent price/performance ratio at very good friction values, good breaking forces, low stretch and a long service life. TEUFELBERGER has the solution for your motor winch. 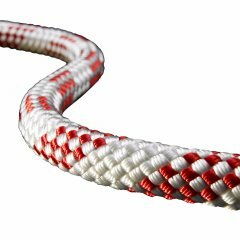 For mounting winches, we produce high strength synthetic ropes of virtually unlimited lengths. Whether you use a drum winch or a capstan winch, we have the right rope for each of your applications - also with CE certification when required. Our fiber ropes weigh 7 times less than steel wire ropes – we know that each kilo counts, especially in case of portable winches. You can use your existing equipment for steel wire ropes (winches, clamps, support rollers or deflection sheaves) with our fiber ropes without the need for adaptation. The synthetic ropes excel due to highest breaking forces. 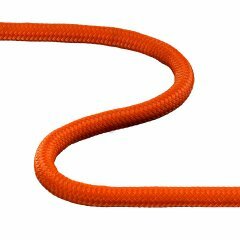 Our fiber ropes offer optimum control and a very high degree of safety due to torsion and stretch indicators in the rope cover. 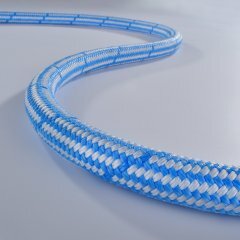 We can produce any length on request - practically without limit. Teufelberger fiber ropes are characterized by perfect spooling behavior - no matter on which winch. The ropes ensure quick and easy handling as well as ergonomic working. We are flexible in terms of design; color variations facilitate your work. The ropes can be quickly and simply identified, e.g. by diameter or year of manufacture. With our synthetic ropes there is no danger of injury from wires sticking out, burst ends of the steel wire rope, or similar. Extreme abrasion resistance for professional use. 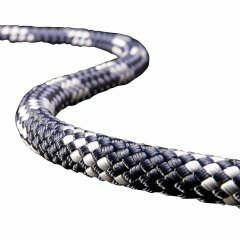 Our ropes feature an extremely high reverse bending fatigue strength, a long service life and minimal stretch.